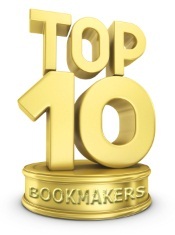 The sportsbooks for greyhounds betting are available online or on the racing tracks. In online betting you will get you more advantages. It will give you the opportunity to bet on the races from all over the world. When you choose to bet where the greyhound race is, you can only gamble on that specific race. There is a variety of betting types on this sport. There are available at every bookmaker, with small differences. Win only- is the simplest bet. You have to bet on the dog which you believe that will win the race. You will get the odds at every sportsbook. Place only- you will get to bet on the dog that will arrive second. Forecast- you will predict which greyhounds will finish first and second. Reverse Forecast- you will pick the greyhounds for the top two, in any order. Trio or Trifecta- you must guess the first three greyhounds. Combination bets- you can bet on two to four greyhounds, which will pass the finish line in that order. The Plum- this is a bet for two consecutive races. For the first one you have to guess in the right order the number of the greyhounds that will finish first and second and if you are right, you have to bet again for the correct numbers of the first and second dog to arrive. There are also the cases when you can bet on the greyhound that you think will win 3 or 6 consecutive races. In the United Kingdom you have a bet that allows you to put your money on the first three or even on the first four dogs which will pass the finish line, in the given order. Among the most popular event in this sport, are: Greyhound Night of Stars (SUA), English Derby (UK), Irish Derby (Ire) and International Top Gun (Australia).